Request free PooPeePad samples. The first quality pads with sealed edges, tear-resistant top sheet and leak-proof backing. 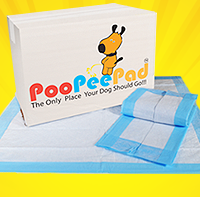 Their scented pad will attract your pet for easier training.